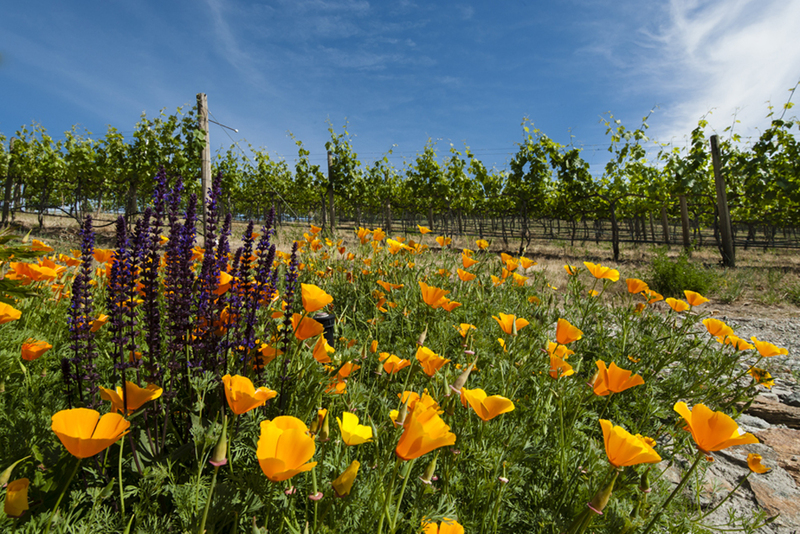 Wine country photographer Richard Duval has tips that will have even a novice taking better photos in and around vineyards. Photographer Richard Duval reveals his best tips and tricks, with examples of amazing photos. So what happened to your wine vacation pics? 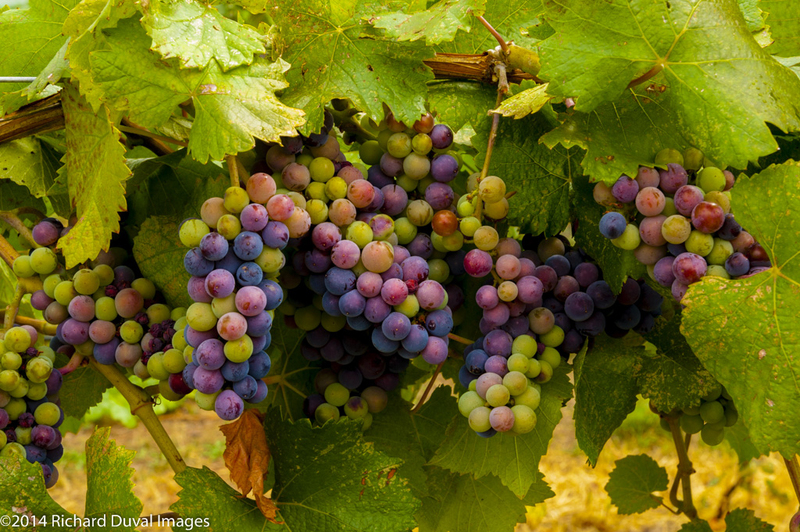 You remember the colors of the vineyard, the impact of the grapes, the cool tasting room. Yet, your pictures fell way short of portraying the zest of days at play. 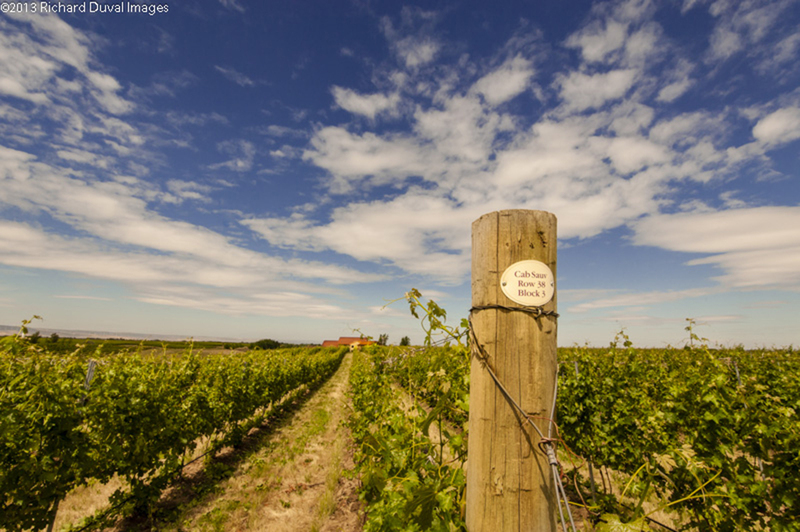 What happened to the terrific terroir you saw through the viewfinder? 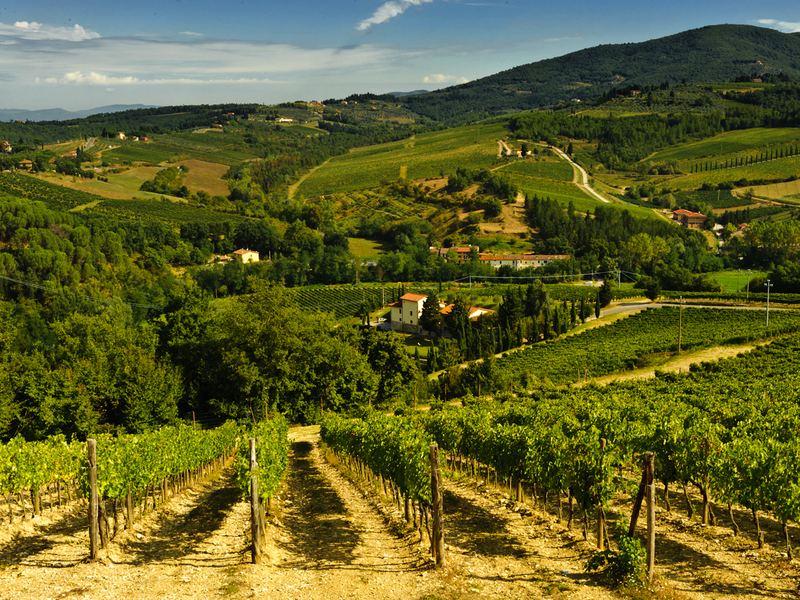 1) If I'm visiting a vineyard, what are a couple things I can do to get a unique perspective or photo? 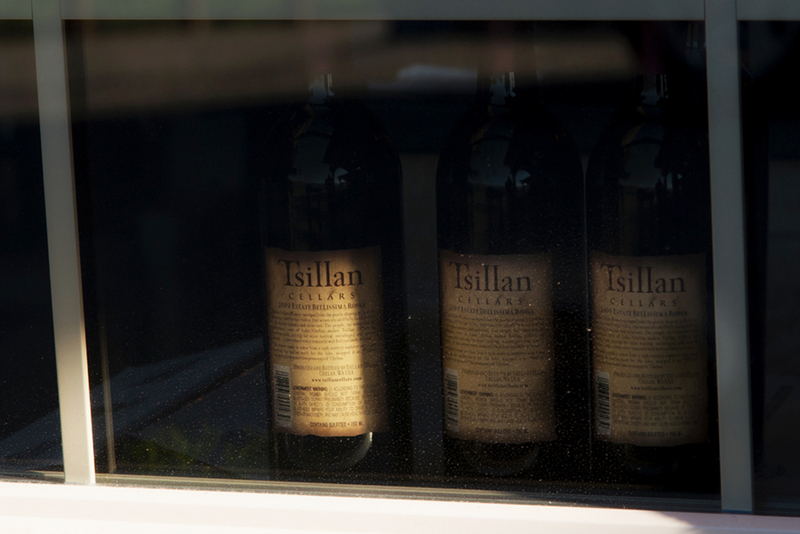 2) Wine bottle photos can be pretty boring. How do I give them some sizzle? For both questions, three lines of advice: drop low, go slow, get close. It’s atypical of most casual photographers. See a cool scene. Put camera to eye. Click. Move on. Yes, you took a picture (snapshot really) that proves you were there but, odds are, you didn’t capture a memory. Watch pro photographers at work; you’ll seldom see us standing full upright, much less still. In fact, most of us are one day short of chiropractic agony – on our knees, bending low, face down in a field, scaling a railing. Why? Angles! The best pictures are seldom straight ahead, full height eye-level shots. Instead, get low and close -- look for cool things in the foreground, dramatic perspectives that reflect the intimacy or the majesty of the scene. 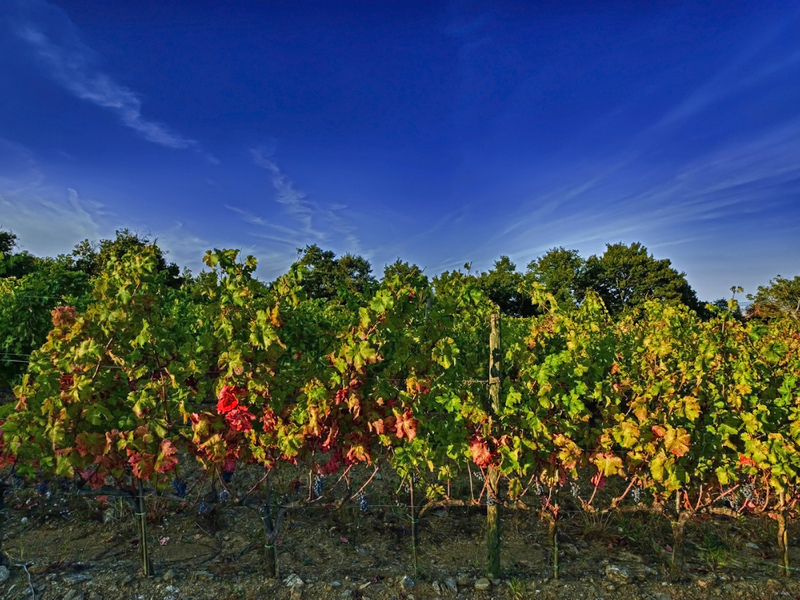 Richard Duval is professional photographer/writer who travels the state capturing the ever-growing wine industry. 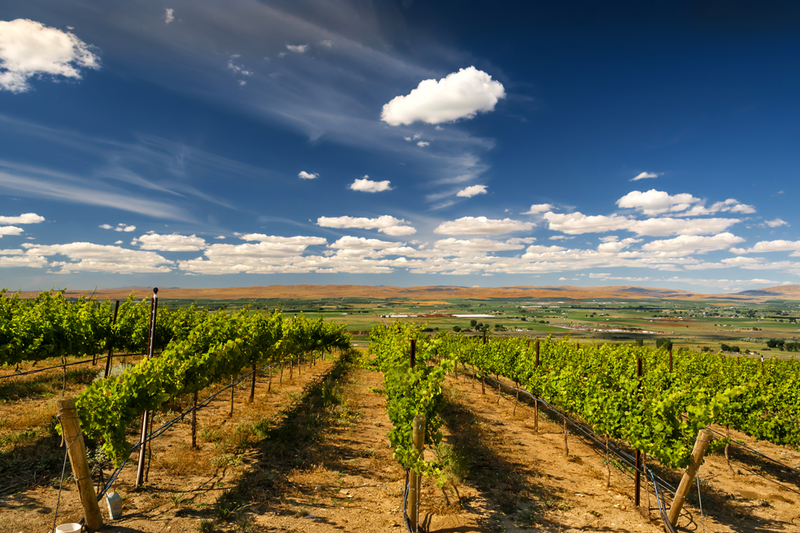 Find his work in Washington Tasting Room Magazine,Washington Wine Report, Sip Northwest, Wine Spectator, Wine Enthusiast, Northwest Travel Magazine, and Nature Photographer. See Duval’s work at VineLines and Duval Images. All photos ©Richard Duval Images and may not be used without permission. 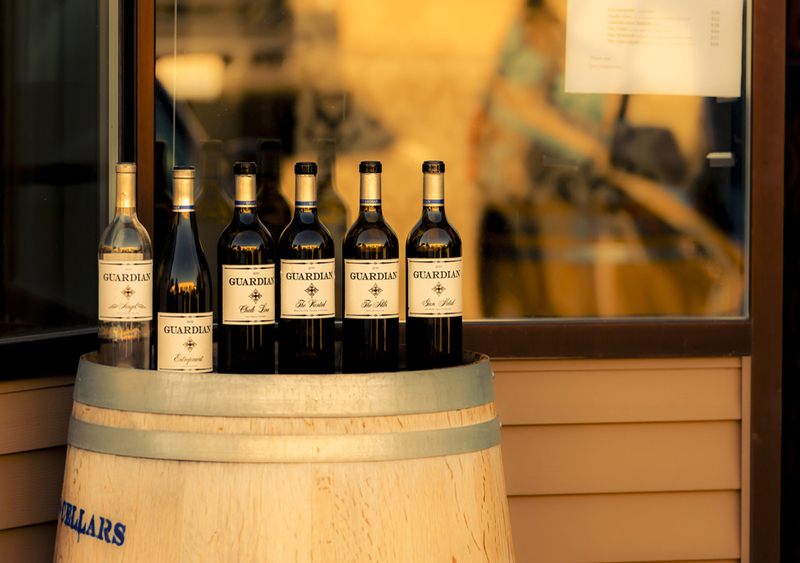 Use composition and color to make that photo of the tasting room you just visited more dramatic and memorable. 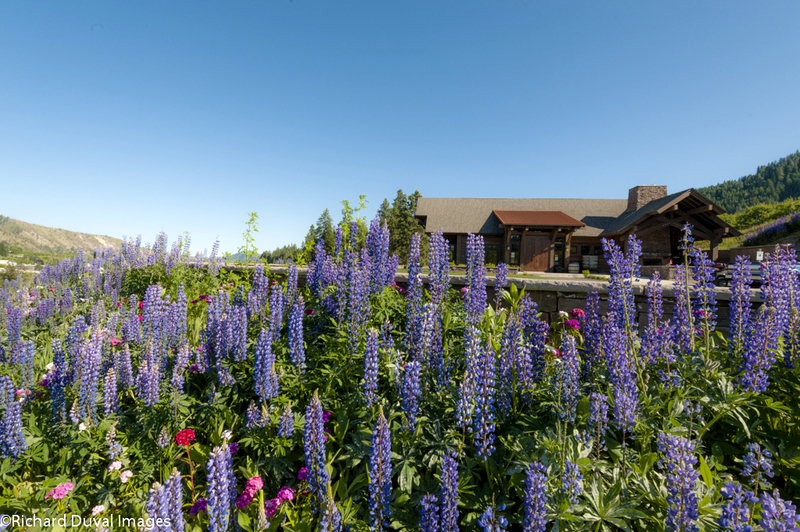 Northern Washington’s Silvara Vineyard winery in springtime is surrounded by hills of pure vibrant color – a great choice for a memorable pic. So from the parking lot, you stand, point your camera, and snap. Yep, you got color in there but all the elements of the scene are given the same weight so nothing in particular stands out. Get lower and get closer – even the simplest camera offers some lens capability so put something colorful in the foreground and let the rest of the scene play out. 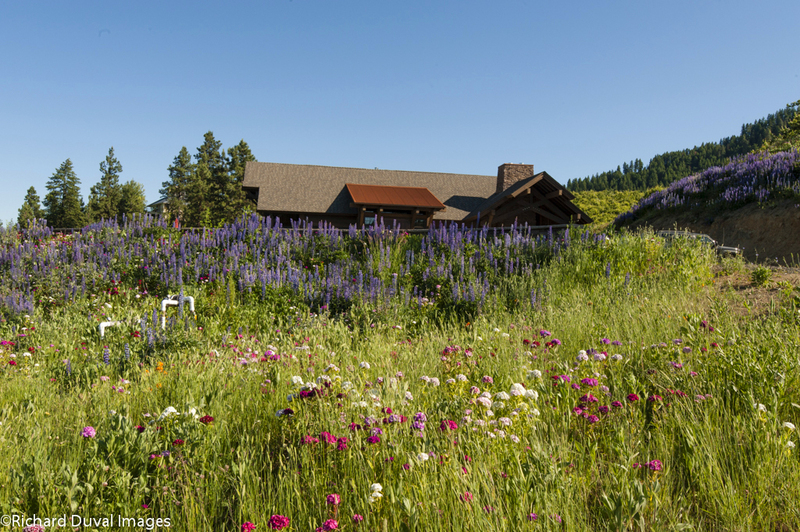 Notice the tasting room is off center, framed nicely by the flowers which add a bit more punch. Now the pic screams “Color!” -- just as you remember. Don't have a DSLR camera? No problem. You can still take great photos in the vineyard. Here's how. 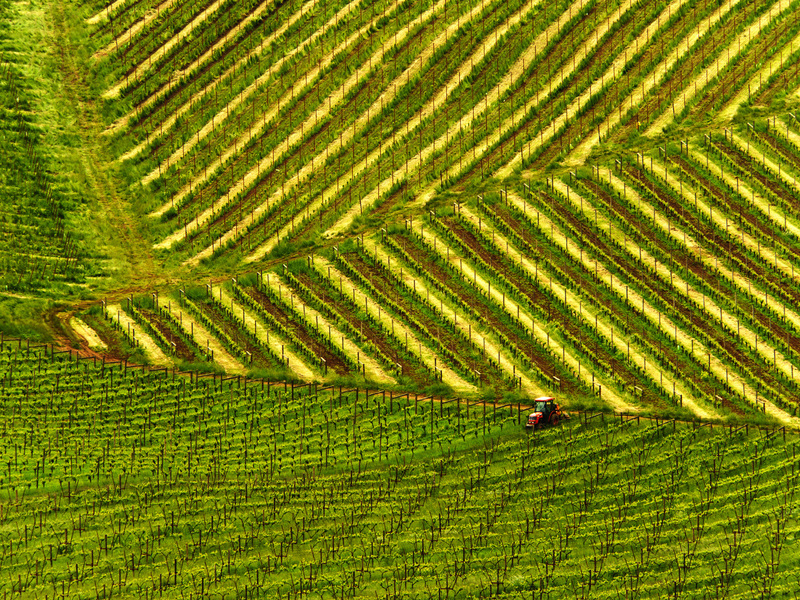 When it comes to taking photographs of vineyards, don't just point and shoot. Use angles and patterns. Vineyards are probably my favorite subject – the combination of careful patterns and spontaneous color speak endlessly to me, and I never tire of a day spent among the rows. Timing is everything. 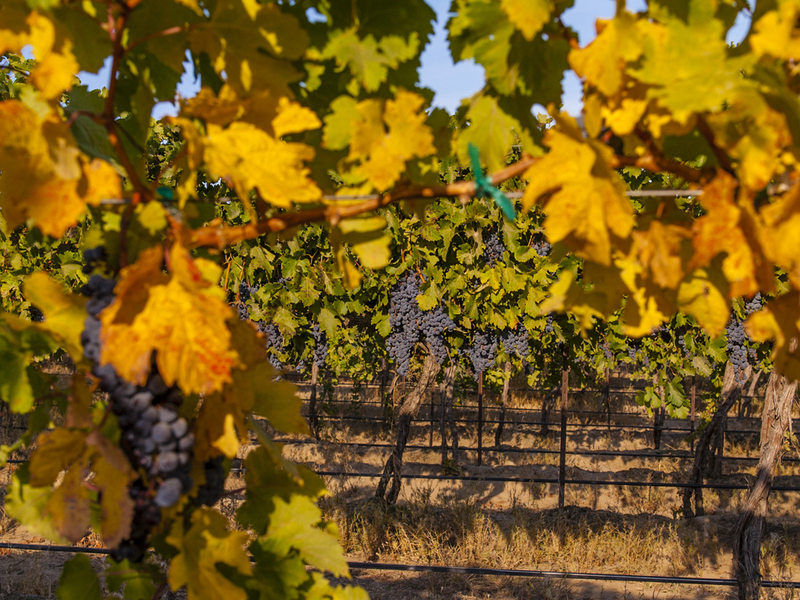 We all love the inherent romance in the near harvest vineyard, so full of deep-in-rich-color grapes they practically carry a vintage stamp. Employ the same techniques – look for elements of interest that add drama and impact – clouds, higher angles, low light, patterns of rows. 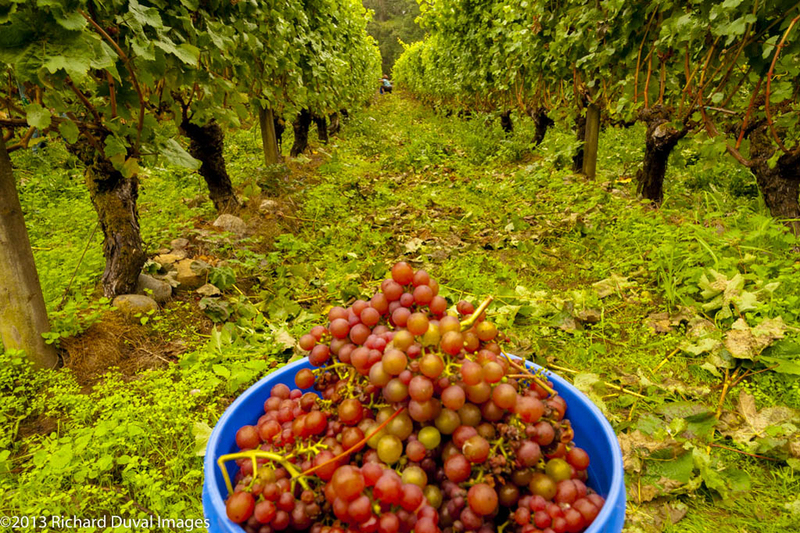 In wine country when the grapes are hanging on the vines or being harvested? These photos will inspire you. And when it’s time, go ape over the grapes! 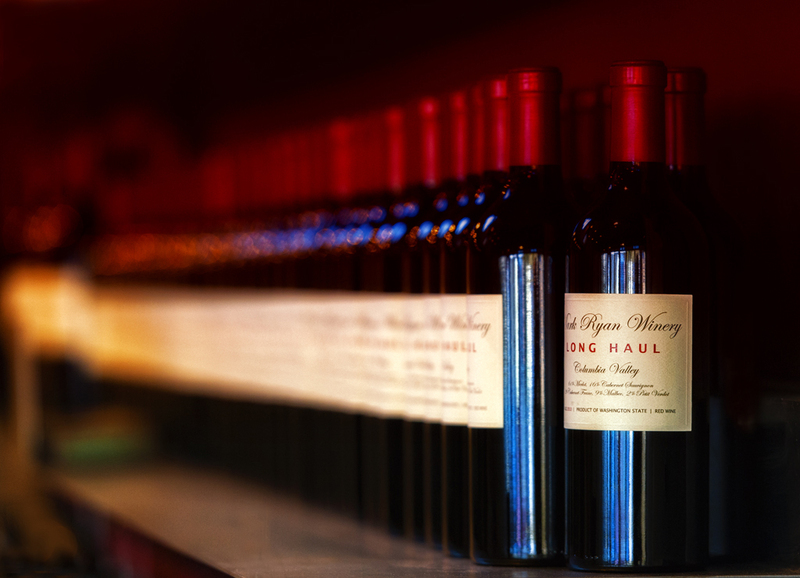 Go beyond a straight-on closeup of the label with these wine bottle photography tips. Low and close will take the dull out of our digital but only if you remember the third point – slow down, particularly for bottle shots. You enter the tasting room, whip out the camera, fire away and move on. This will guarantee whatever you shot had as much significance as the parking meter where you left your car. Imagine conducting a wine tasting session built on how fast you can sip and spit. Don't just stand there, get your subjects doing something in your photos! Don’t settle for people pics where your subject is just standing flatfooted and static staring at you. People move! Capture them thoroughly immersed in their activity! 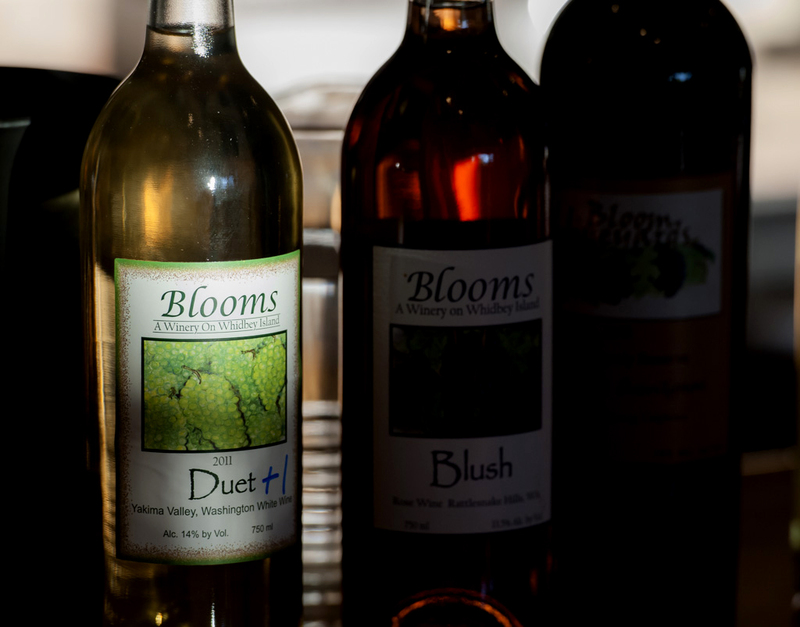 Winemakers are proud of their craft; let that pride shine in your pics. Drop low; go slow; get close. It often spells the difference between a mug shot and a memory. 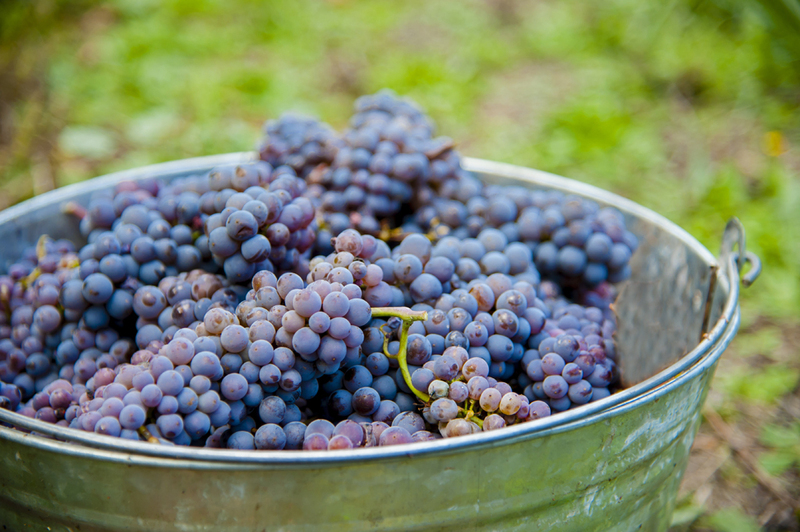 Follow Grape Collective 's board How To Take The Best Photos in Wine Country on Pinterest.